The Modern Maccabees picnic in not-so-modern times. This photograph was found among my grandmother’s belongings when she passed away in 1992. My grandmother, Grace Elizabeth Molby White, was the daughter of John Molby (originally spelled Mulvey) and Lily Ann Buschell. We believe this may be the only photo that exists Lily Molby (we have one other poorer quality photo of John), and we aren’t even positive it is them. My mom remembers my grandmother showing her the photo when she was a girl and pointing out her mother in it. We believe the large man in the middle is John Molby and the woman beside him is his wife Lily. We also believe the young man, who has the man with the older seated mustached man between him and the alleged John Molby, is John and Lily’s son George. No one else in the photo’s identity is known. This is not a family photo but rather a group photo for the Modern Maccabees. If you look closely you’ll see George Molby and some of the others are holding flags that say Modern Maccabees on them. Lily’s obituary also notes that she was a member of the Lady Maccabees. Who were the Maccabees? They were a fraternal organization founded in Ontario, Canada in 1878 and named for the biblical Maccabees. Originally known as the Knights of the Maccabees, in times other branches were formed–the Lady Maccabees and the Modern Maccabees in 1892. The organization was most popular within the state of Michigan. 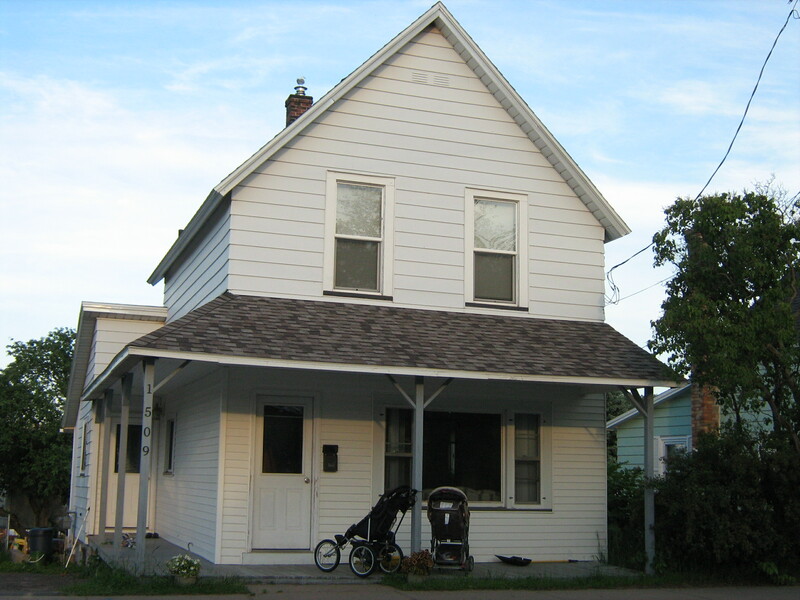 Their major efforts were to provide a form of low-cost insurance. I believe this photo was probably taken sometime between 1906 and 1915 because George Molby was born in 1886 and he has to be at least age twenty here and the clothing clearly dates to the World War I era or earlier. Furthermore, the group was renamed in 1915 to the Women’s Benefits Association. 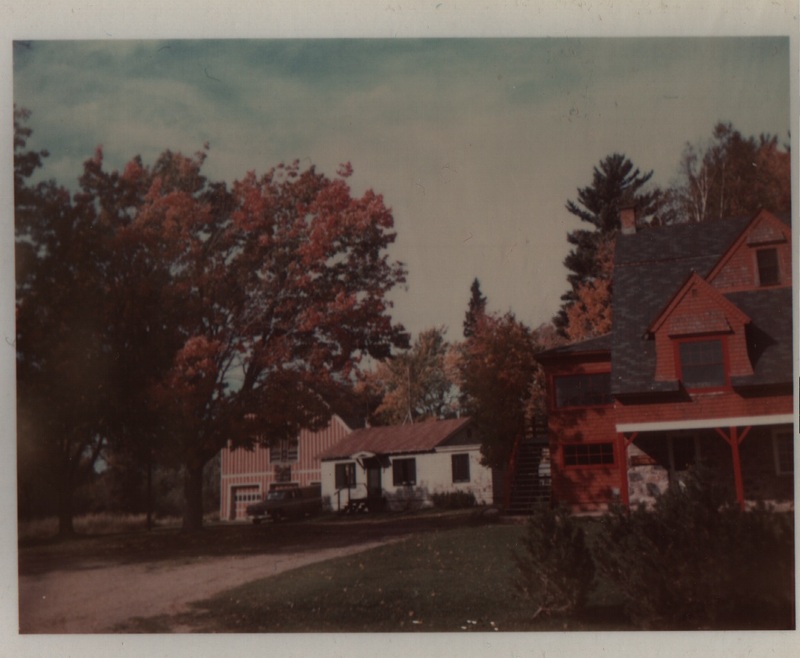 I don’t know where the photo was taken–probably some sort of park in or near Marquette. 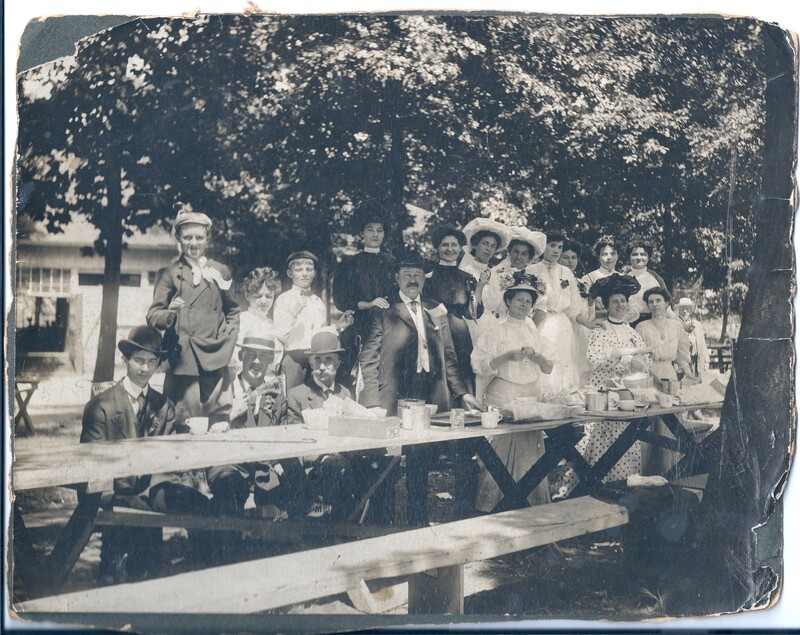 If anyone can provide further information about the photo and the people in it, I would love to hear from you so please leave me a comment. It’s with great sadness that I heard Bonanza was to close this past Sunday, January 26th. A lot of people clearly shared my sadness since the restaurant was so busy on Saturday that it had to close a day early because the staff feared they’d run out of food. Mitch Lazaren, Ed Gudewicz, and all the Bonanza staff did a fine job for 37 years and Marquette just won’t be the same without being able to go there on a Saturday night to fill up on salad, steak, and chili. Grandpa and Grandma were regulars at Bonanza, which ensured that Chad and John got extra suckers with their little wrangler meals. They all overstuffed their stomachs with steak, chili con carne, salad, french fries, and ice cream. 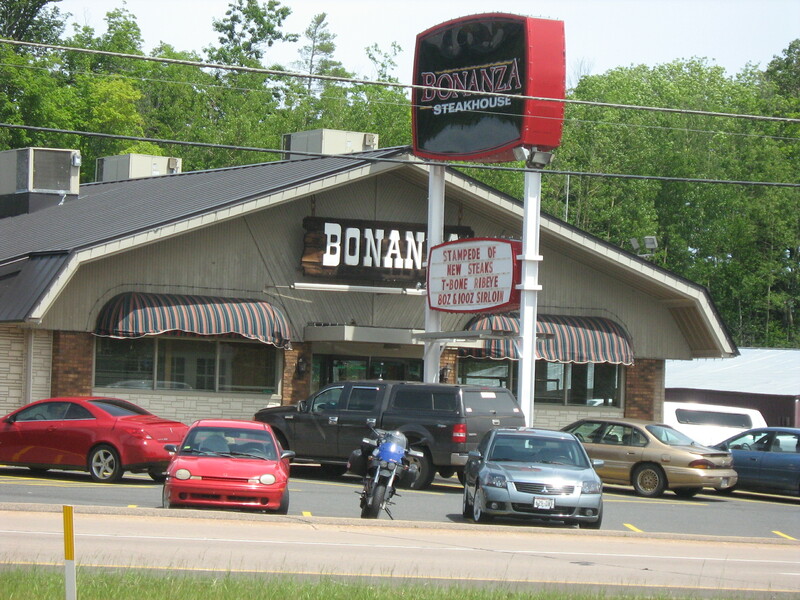 When Bonanza opened in 1977, it was one of those new restaurants, springing up along U.S. 41 leading out of town and actually in Marquette Township, but today, it is a mainstay as one of Marquette’s longest operating restaurants. After 37 years, Marquette says goodbye to its favorite family restaurant. Soon after it opened, my mom and grandma went there for lunch. 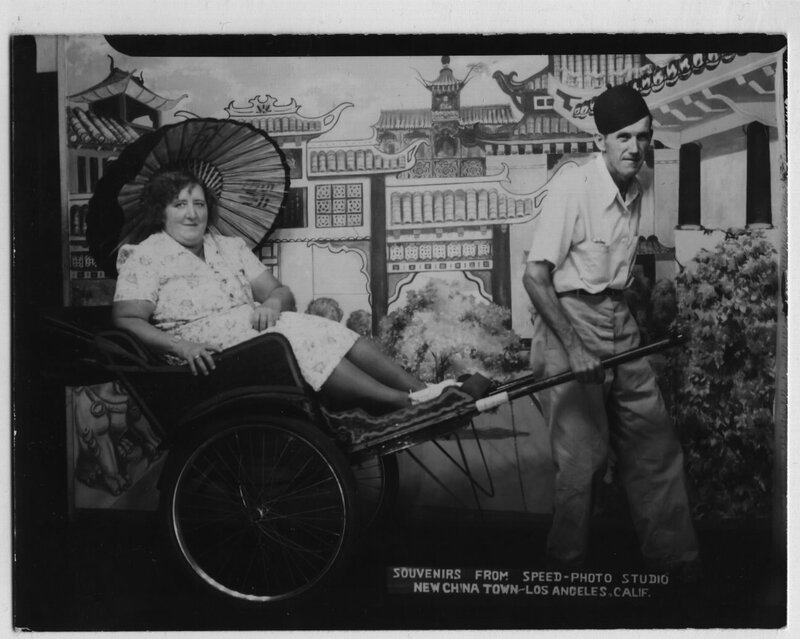 At that time, Grandma thought Grandpa wouldn’t like it because it wasn’t a “sit down and be waited on” kind of restaurant. Boy, was she wrong! Grandpa loved Bonanza. Soon my grandparents were going there for supper at least twice a week. They became good friends with Mitch Lazaren, the owner, and all the Bonanza staff. My grandpa made some frames for different maps and posters for the restaurant, and for Christmas one year, my grandparents were given Bonanza jackets with their names embroidered on them. For years, my grandparents, parents, brother and I could regularly be found at Bonanza on Saturday nights. It was my favorite restaurant as much as Grandpa’s. The Chili Con Carne alone was enough to keep me going back. How special was Bonanza to my grandparents? So special that during winter blizzards, my mom had to argue on the phone with Grandpa to get him to stay home rather than go there for supper. So special that in 1983, my grandparents celebrated their forty-ninth wedding anniversary there. Other steakhouses have come and gone in Marquette, but Bonanza has outlived all its competition. The service remains impeccable, the food fantastic, and the atmosphere friendly, if a bit overwhelmed by hungry people crowding around the salad bar—but that’s the sign of a truly good restaurant. 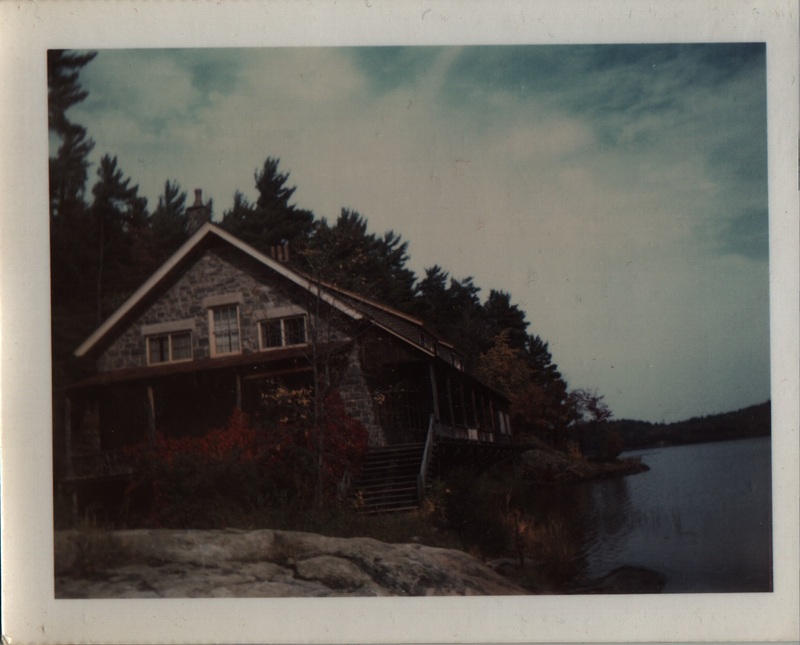 From 1971-1976, my grandfather, Lester White, was the caretaker at Ives Lake. He and my grandmother would go up to the lake in the spring and stay through the summer, only coming home occasionally on a weekend. I can vividly remember riding in the car with my mom and brother when we would drive up to Ives Lake to visit my grandparents. We would sing “Here Comes Peter Cottontail” and any other songs my mother cared to teach us along the way. We would come to the gate where the gatekeeper would let us in because he knew us as part of my grandpa’s family. My memories of Ives Lake are fragmented since I was only five when those years ended, but I can recall my cousins playing baseball on the large lawn, having big family picnics with all the cousins, great-aunts, and great-uncles there, swimming in the lake and my cousins collecting clams, and going fishing with my dad—I caught my first fish at Ives Lake. I remember my grandparents’ dog, Tramp, swimming in the river, and I remember going in the barn with my grandpa to see the barn swallows. I distinctly remember my fifth birthday party was held here. I remember it mainly because I got a record player, an orange box that folded and locked up like a case. With the record player came several records made by the Peter Pan record company, including a book and record of “Little Red Riding Hood.” My cousin, Kenny White, who was born on July 4th, also had his birthday party here one year. The clearest memory I have is of walking with my grandpa and Great-Aunt Vi behind the barn to the chicken coop, and my brother and I pretending to be Peter Pan as I described in Superior Heritage. While I don’t remember it myself, my cousins, Leanne and Jaylyn White, who are several years older than me, remember Grandpa feeding Chucky the Woodchuck, whom I also depicted in my novel. One time, Grandpa took my brother and me into the Stone House where one of the rooms had a table with numerous rocks on it that the geologists must have been studying. Grandpa told us we could each have one of the rocks. 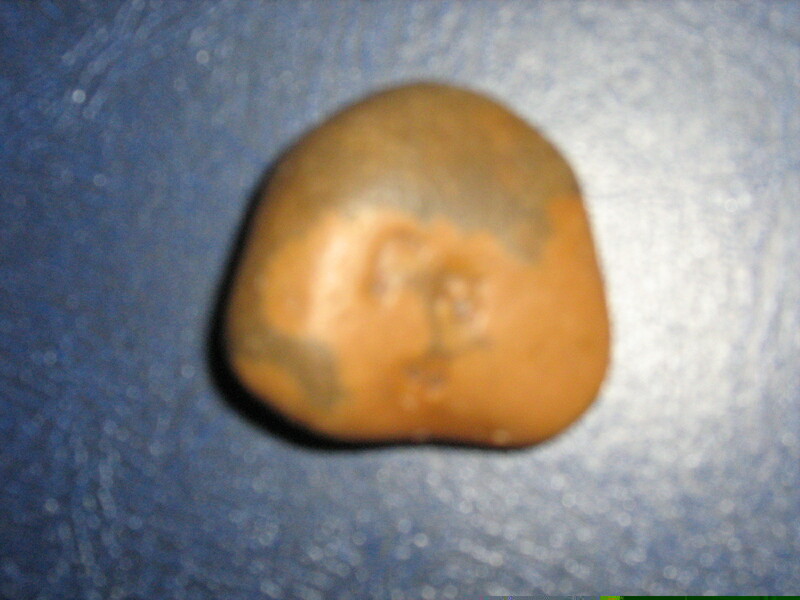 I still have mine today, a curious two shaded brown rock like none I have ever seen since. Someday I will find a geologist who will tell me what it is. My family has hundreds of photographs of summers spent at Ives Lake including fishing parties, picnics, and Grandpa and me on the riding lawn mower. The child’s mind is highly impressionable so perhaps that is why I remember this beautiful magical place so well. My rock from the Stone House. I still have it but have never found out what kind of rock it is. The visits to Ives Lake ended on a sad note when my mother received a phone call that her grandmother, Barbara McCombie White, had died. I remember I was coloring in a color-by-number book when the call arrived. I didn’t understand, but I remember my mother crying and her telling me to go back to my coloring while she got ready to go. We had to drive up to Ives Lake where my grandpa was—he had no phone there—so my mom could tell him his mother had died. The two events may not have been related, but my great-grandmother’s death seemed like the end of the Ives Lake summers to me. It was also the end of an era in another way—my great-grandmother would be the only person I would know who was born in the nineteenth century, 1885, to be exact, and being at Ives Lake was equally like being in another era. 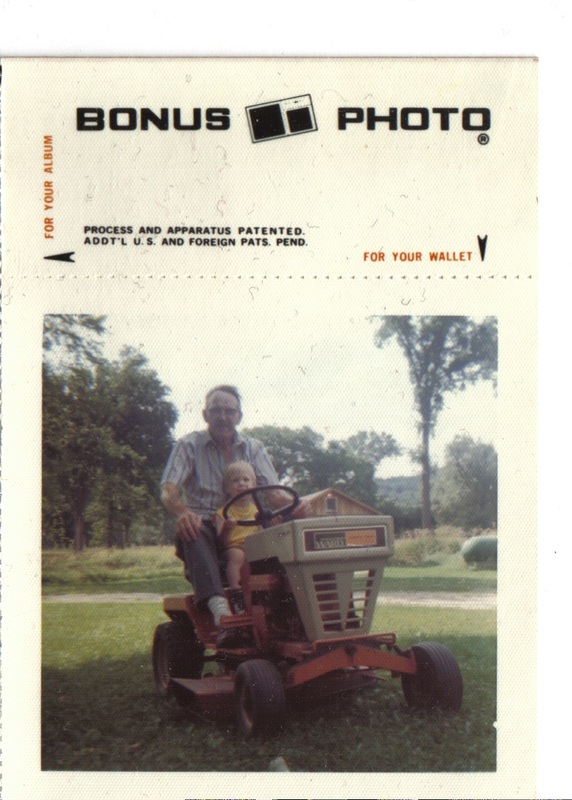 Tyler with Grandpa on the riding lawnmower at Ives Lake about 1975. I just returned from a wonderful vacation in Turkey, which I’ve long wanted to visit for its many historical and ancient sites, including biblical Ephesus, ancient Troy, and Istanbul, formerly Constantinople, seat of the Byzantine Empire. My journey made me appreciate Turkey in more ways than I can list here, including the people’s pride in being a democracy and their love of the founder of the Republic, Ataturk, as well as the friendliness, politeness, and goodwill of the Turkish people; almost everyone I spoke to had been to the United States or had a relative living here. I realized just how small the world is and how we are far more alike than different to our neighbors in this world. 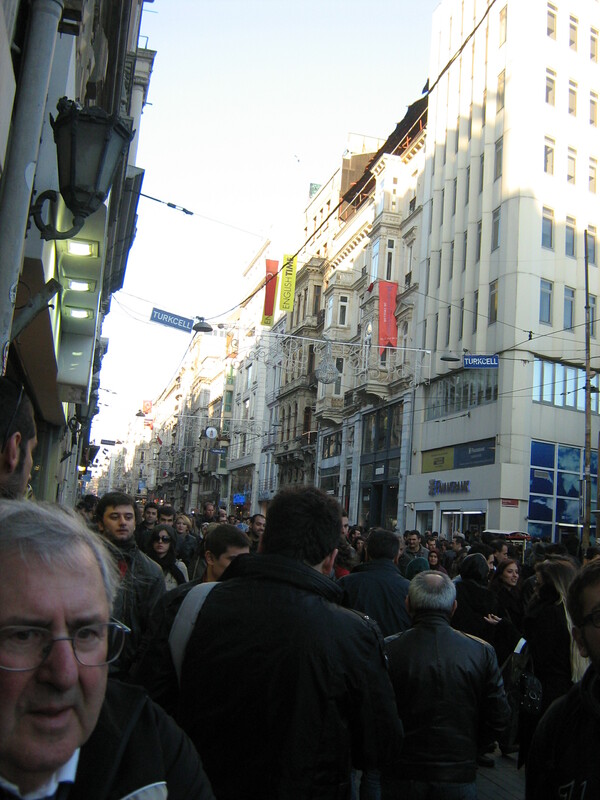 One pleasant surprise I had while in Turkey was to discover the book Istanbul: Memories and the City by Orhan Pamuk. Pamuk won the Nobel Prize for Literature in 2006. 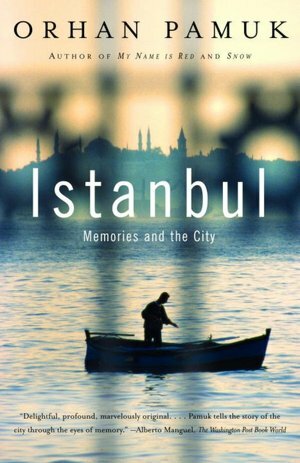 I had heard his name but never investigated his books, so to discover he had written a book about Istanbul that includes the city’s history and his memories of growing up in it in the 1950s-1970s made me feel what a small world it is. Considering I have written a similar book about Marquette, I felt I had discovered a kindred spirit. I read the entire book on the plane flying home. 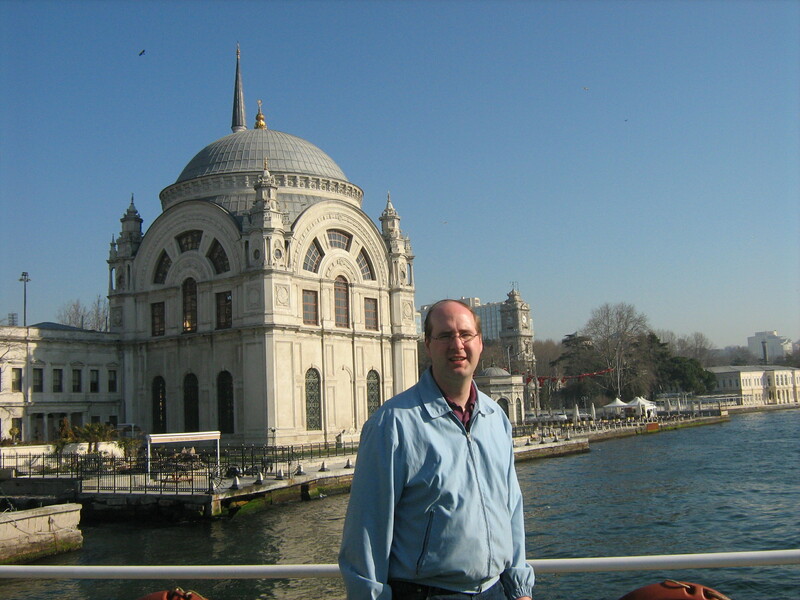 In addition to the text, Pamuk includes many black and white photos of Istanbul, which I can’t reproduce here, but I am including a few photos of Istanbul that I took myself on my vacation. Similarly, I feel like the Marquette of my childhood is constantly with me—I am continually finding myself remembering being in the Marquette Mall or eating at the Bavarian Inn or attending nursery school at the Presbyterian Church. Similarly, the history of Marquette flows through my veins and that of seven generations of my ancestors. To understand me, you have to understand my family background, the beauty and history I grew up surrounded by in my hometown. Pamuk talks a lot about the city’s huzun, a word meaning melancholy. He writes of growing up in the 1950s surrounded by a family in mourning for the glories of the Ottoman empire that vanished with the coming of the Republic of Turkey in the 1920s. While I don’t doubt Pamuk realizes the Republic was preferable to being ruled by a Sultan, he has an appreciation for the glories of the past. His grandmother and elderly relatives have turned their homes into what feel like museums. Similarly, I grew up surrounded by grandparents, great-aunts and great-uncles who told me of Marquette’s past and stories of their parents and grandparents. I felt a certain melancholy in longing to know the Marquette of the past prior to my lifetime and the glories of the past that no longer existed, such as the Superior Hotel, or the glories I saw disappearing such as St. John the Baptist Church being torn down. Very true. My view of Marquette is conditioned by my upbringing and history. Others feel differently about it I’m sure, although I tried, in writing about it in my novels, to create some sort of collected consciousness about its history. I think the reasons become clear when we consider the difficulties of life in Upper Michigan. Economic issues and cold winters are trying and make a person create an argument for himself about why to remain, weighing the pros and cons. 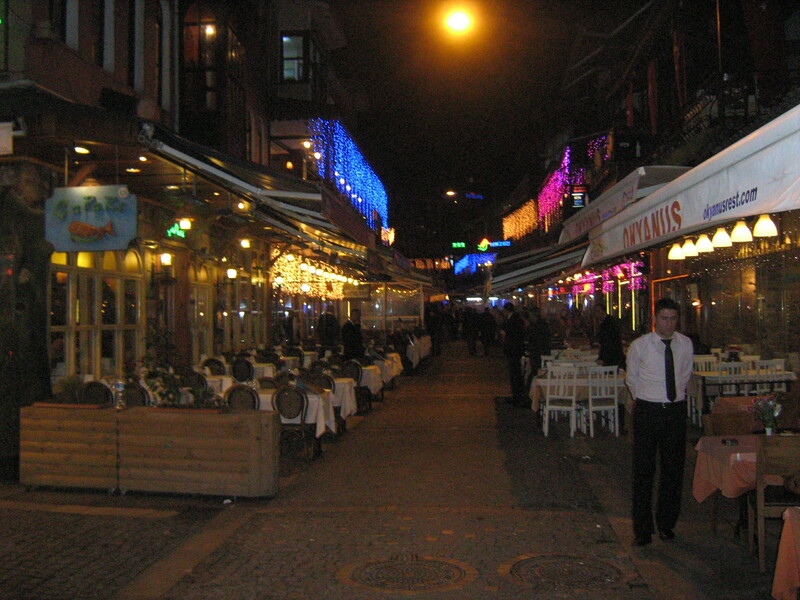 Yes, I went to Istanbul, but deep down as a writer, I have always felt like Marquette was more than enough for me to write about. Everything I need as a writer I can find here. There are stories, diversity, history, culture, enough to fill many books as my writing has shown, and all those lead to lessons about life. As Dorothy says in The Wizard of Oz, we need not go looking beyond our own backyards for our heart’s desire. This last passage describes Pamuk beginning to collect information about his city before he even knew he would write someday about it, similar to how everything about Marquette’s history fascinated me and I collected books and articles about it and even old telephone books before I contemplated writing a series of novels about the place. I won’t go so far as to say no one ever saw Marquette the way I have, but one of the nicest compliments I have received about my novels is that they have made people look at the buildings of Marquette in different ways and see all the history that surrounds them. If anything, I hope my books have made people appreciate the past that once existed and still exists among us. 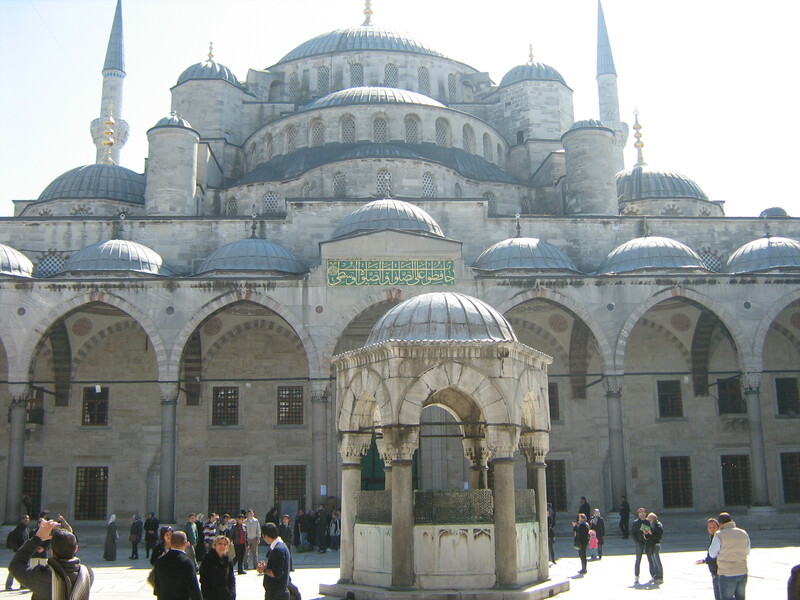 Marquette is world enough for me, but as a genealogy fanatic, I wanted to go to Turkey to explore what remained of the Byzantine Empire. 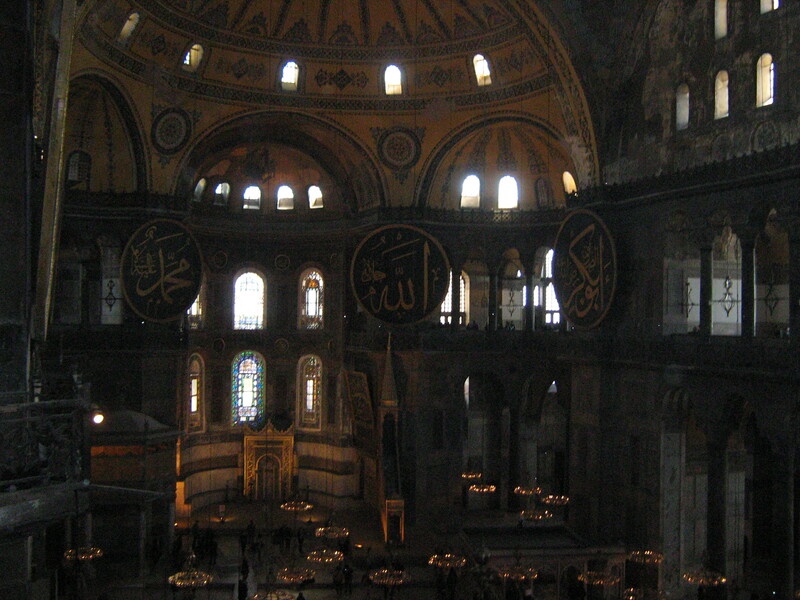 For me, being in Hagia Sophia was especially a highlight. I have traced my family tree back to many Byzantine Emperors including Basil I and Alexios III, who would have worshiped in Hagia Sophia. I also visited the ruins of Troy and Ephesus where doubtless I also had ancestors centuries ago and now lost to time. My family’s past lies throughout the world. As James Michener said, “The world is my home,” and Marquette and Istanbul are not so very different—although in different ways, both are home. Across the street from the former Brookridge Estate, on the corner of County Road 553 and Pioneer Road, is a patch of woods where once the Old Catholic Cemetery existed. It became the burial place for Marquette’s Catholics in 1861. Prior to that, Catholics had been buried on the property where the cathedral now stands. The new cemetery would within fifty years become the Old Catholic Cemetery. By the early 1900s, the new Holy Cross Cemetery off Wright Street opened, and between 1912 and 1925, some 165 Catholics’ remains were transferred from the old cemetery to the new one, although not all the bodies were removed. While I do not know for certain where they rest, my best guess is that my great-great-grandparents, John Buschell, his wife Elizabeth, and maybe her second husband Jeremiah O’Leary are all buried in the Old Catholic Cemetery. Today, the forest has reclaimed the old cemetery property off Pioneer Road. Gradually, while some of the bodies were left behind, all the gravestones were removed—some for a time in the 1980s I remember being in the front yard of the John Burt Pioneer home when it was still a museum, but eventually all the stones that remained intact were transferred to Holy Cross Cemetery where they lie in the grass, most of them scarcely readable. 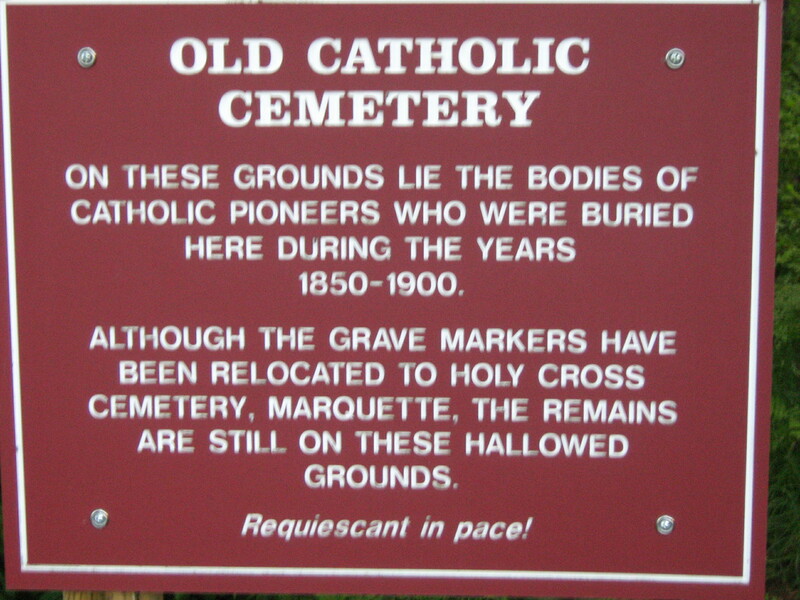 Today, all Catholics are buried at Holy Cross Cemetery in Marquette. 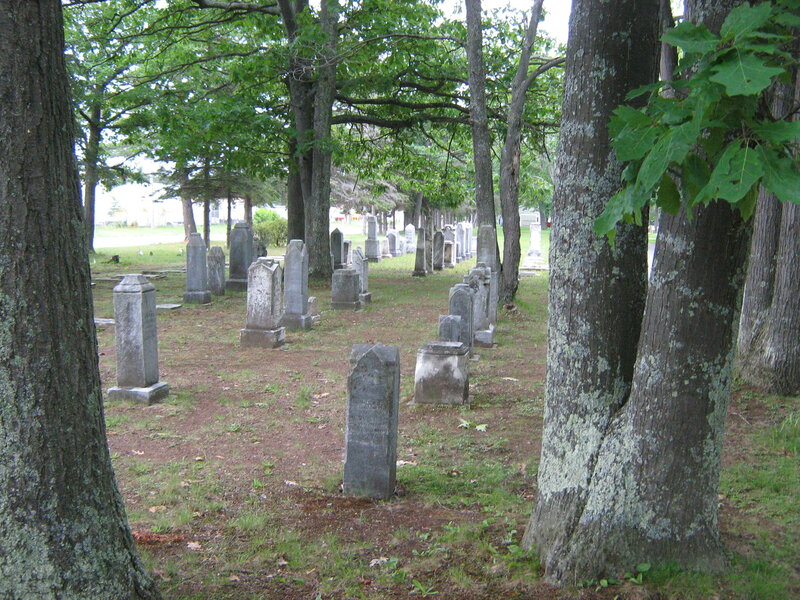 In the cemetery’s early years, Catholics were strict that only Catholics could be buried there. As a result, my great-grandmother, Lily Buschell Molby, lies in Holy Cross while her husband, John Molby, not being Catholic, is buried in Park Cemetery, which accepted all denominations. By the 1980s, burial laws were less strict. 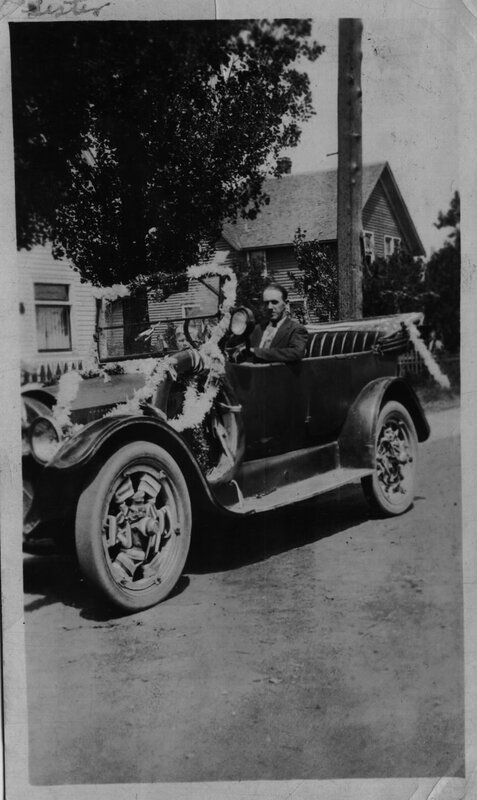 John and Lily’s daughter, my grandmother, Grace Molby White, also married outside the Catholic Church, but she wanted to be buried in the Catholic cemetery, so my grandpa, raised a Baptist, also agreed to be buried there. Today my grandparents rest in Holy Cross Cemetery with my grandma’s family while my grandpa’s family rests in Park Cemetery. A few years after my grandparents passed away, my parents bought plots near them in Holy Cross Cemetery, including plots for my brother and me. At the time, I wasn’t too crazy about having a grave plot waiting for me when I was only thirty years old, but I guess it doesn’t hurt to plan ahead.